Six months after the last update, we have again available a mod for those who are adventurous. 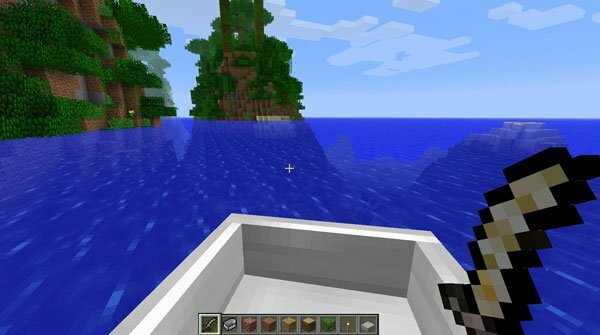 Ocean Adventures 1.7.2 is a mod responsible for generating new worlds, where the main element is water. This new world will consist of deep and big oceans where we find both large and small islands. The islands can be inhabited by villagers, but also found there new mobs, some harmless and others hostile like pirates zombies. This mod encourages both marine and terrestrial exploration, which is why we create a new type of boat three times faster than wood. If you want to dive into the depths to find the new ore mod called Oceanite, you must have patience and crafting a diving helmet. How to install Ocean Adventures Mod for Minecraft 1.7.2? Oceans, pirates, islands and more!